Tolkien and Lewis served in WW1—and used the experience of war to shape their Christian imagination. This month marks the 100-year anniversary of the start of World War I, the conflict that introduced industrial-scale slaughter to the world. Never before had science and technology—the mortars, machine guns, tanks, barbed wire and poison gas—conspired so effectively to destroy man and nature. The Great War laid waste to a continent and savaged popular beliefs about progress, morality and religion. Yet for two extraordinary authors and friends, J.R.R. Tolkien and C.S. Lewis, the war deepened their moral and spiritual convictions. Both fought in the trenches on the Western Front and used their experiences to shape their Christian imagination. The pair met in 1926 as young scholars at Oxford University and went on to produce epic stories of heroism. Tolkien wrote The Hobbit and The Lord of the Rings trilogy. Lewis earned fame for The Chronicles of Narnia, a series of children’s books now considered classics. Their tales are fundamentally about a cosmic struggle between good and evil—a theme radically out of step with the spirit of their age. Tolkien and Lewis, however, believed war could be fought for noble purposes. In The Lord of the Rings, a band of hobbits, a king born as Aragorn and the Wizard Gandalf embark on a quest to destroy the evil Ring of Power. In The Chronicles of Narnia, the Pevensie children are magically transported from London to Narnia and given a great task by Aslan the Lion: to rescue Narnia from despotism and restore the throne to its rightful line of kings. The authors’ use of fantasy is often dismissed as an attempt to forget the wretched realities of postwar Europe. But a careful reading reveals a steely realism that captures the human predicament. Even the most heroic figures feel like modern characters: uncertain, filled with fear and prone to the lust for power. Near the narrative heart of Tolkien’s trilogy is this sobering fact: Not even the central hero, Frodo Baggins, can resist the lure and power of the Ring. When Frodo finally has the chance to destroy the Ring at Mount Doom, he struggles. “I will not do this deed. The Ring is mine,” he exclaims. Just so: Every combatant nation in World War I abandoned moral qualms and used any weapon at hand to obliterate the enemy. Perhaps most controversially, Tolkien and Lewis did not regard war as an unmitigated evil. The experience of the fellowship of combat taught them the great gift of friendship—especially when it was forged for a high and humane purpose. Where did Tolkien get his idea for the hobbits? Like Lewis, he acquired a profound respect for the ordinary British soldier, having witnessed his remarkable determination under fire. 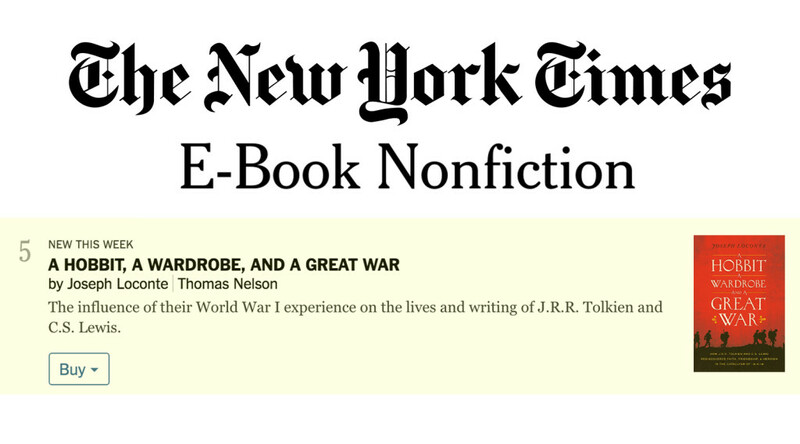 In a letter written after his trilogy was published, Tolkien acknowledged that Sam Gamgee, one of the story’s central figures, “is indeed a reflection of the English soldier, of the privates and batmen I knew in the 1914 war, and recognized as so far superior to myself.” These creators of myths remind us that real life—torn by sorrow and suffering—has a mythic and heroic quality. What Tolkien and Lewis saw on the battlefield made it easy for them to imagine worlds ravaged by evil. Nevertheless, fortified by their Christian faith—Tolkien a Catholic, Lewis an Anglican—they believed that God and goodness were the deepest truths about the human story. In Middle-earth and Narnia, the ruin or redemption of every person depends on what side she has chosen in the conflict. Is this so unlike our own world? Think of the Nigerian girls kidnapped by Boko Haram; the civilians caught in the genocidal storm of the Syrian regime; the courageous Malala Yousafzai, shot by the Taliban for wanting Pakistani girls to go to school. The heroic figure is the one who resists evil, who is willing to lay down his life for his friends. Perhaps the character of Faramir in The Lord of the Rings expresses it best: “I do not love the bright sword for its sharpness, nor the arrow for its swiftness, nor the warrior for his glory. I love only that which they defend.” That may be the vision of humanity that our present world needs most. 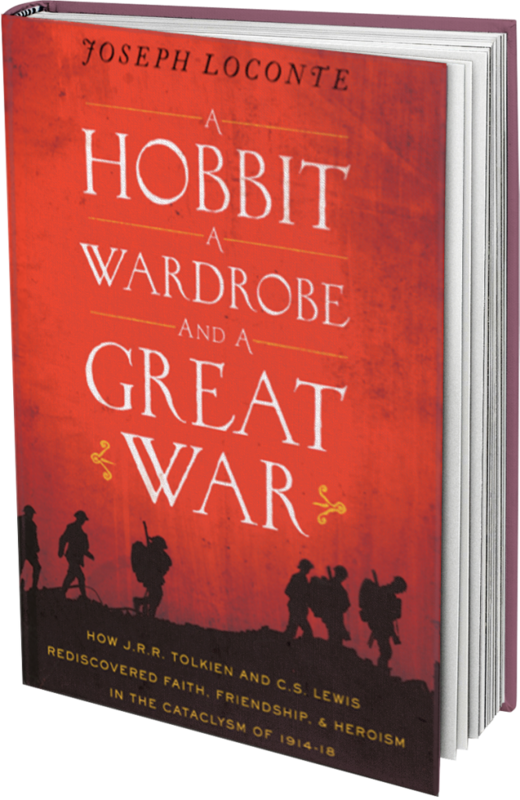 Dr. Loconte is an associate professor of history at The King’s College in New York City and author of the forthcoming A Hobbit, a Wardrobe, and a Great War: How J.R.R. Tolkien and C.S. Lewis Rediscovered Faith, Friendship, and Heroism in the Cataclysm of 1914-18 (HarperCollins, 2015).